If you are injured in an automobile accident, the Swindell Law Firm can assist you with your injury claim. Knowing how difficult insurance companies can be, we can see that you are treated fairly and strive to see that you receive a just settlement. If you are in an automobile accident, often times the insurance company will encourage you to quickly settle your claim without knowing the extent or permanence of your injuries. Adjusters often contact accident victims and ask for a recorded statement. It is likewise, just as important that you preserve proof of your injuries, pain, suffering and damages, as well as any evidence of the negligence of the person who caused the accident. Make good color high resolution photographs and videos of the inside and outside of the vehicle you were in from several angles. Make similar photographs and videos that illustrate your injuries, both inside and outside the hospital. Obtain an accident report from the Highway Patrol. Check the driving record of the driver at fault, and determine whether or not he/she was intoxicated. Secure statements from all witnesses to the accident. Save all your medical bills and records of payment. Obtain copies of all medical reports, operative notes, etc. Obtain a copy of your insurance policy and declarations page and obtain the policy of the negligent party. Clip and save all newspaper articles regarding the accident. Refrain from giving recorded statements without counsel advice. Refrain from signing blanket releases or insurance checks. Maintain an injury diary of how your life has changed because of the accident. The above list is by no means comprehensive; however, we believe that by following these recommendations you can improve the position of your potential claim. The vast majority of our cases are settled out of court. In fact, it is usually not even necessary for us to file a law suit in order to obtain insurance benefits for our clients. If you do not have an attorney at this time and would like to discuss your case, then please contact the Swindell Law Firm. We offer free consultations for Automobile Accidents cases. If you are injured on the job in an accident, you are entitled to compensation. The Swindell Law Firm can assist you with your injury claim. Worker’s compensation laws require that your employer compensate you if you are injured in the course of your employment in an accident. In order to take advantage of worker’s compensation laws, you must be an employee (not an independent contractor), and your injury must have occurred during the course of your employment. If you are injured on the job, your employer will pay for your medical expenses, and you will receive some percentage (usually two thirds) of your wages while you are unable to work. In exchange for these guaranteed payments you will not be able to sue your employer. You may, however, still sue any third party who may have negligently contributed to, or caused, your injury. We offer free consultations for Workers Compensation cases. Social Security disability claims can be filed for any worker, person, or child who expects to be off work, or who expects not to return to work for one year due to physical or mental disabilities. The average person applying for Disability Benefits is denied at the initial application step. You may need experienced legal counsel to cut through the massive amount of regulations and laws that govern the Social Security Administration. The Swindell Law Firm wants to make sure that every eligible claimant for Social Security Disability benefits receives his or her benefits. 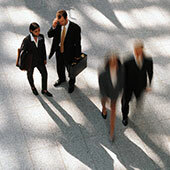 We offer free consultations for Social Security Disability cases. The Swindell Law Firm knows that there are many costs of traffic law convictions in North Carolina. In many instances, insurance premiums can increase from 25% to 400% after a conviction and assignment of points. We know that careful drivers are sometimes charged with offenses. We have experience with the North Carolina traffic laws and the protections that they offer you. We also have experience with the traffic courts and with the Department of Motor Vehicles. Not realizing the consequences, many people plead guilty to traffic offenses or simply pay their traffic tickets. However, if the matters are properly handled by a traffic attorney who has knowledge and experience with North Carolina traffic law, driving records and a significant amount of money can be saved. We may even be able to provide representation for your traffic ticket offense without your having to appear in court. If you have received a traffic ticket in Lenoir, Wayne or Greene Counties, you should contact a traffic attorney who knows the law and the protections available to you. Call or email us now for a consultation. We gladly accept Visa and MasterCard for your convenience. We provide services in the full range of real estate transactions to individuals, including sales, purchases, refinances, leases and seller mortgages. We represent both individual sellers and purchasers as well as property developers. The Swindell Law Firm also represents financial institutions (including life insurance companies and mortgage bankers), developers, residential brokerage firms, agricultural concerns, borrowers, general and limited partners, and other equity owners in all aspects of real property litigation, including foreclosures, workouts, bankruptcy, actions in purchase and sale contracts, leases, loans and land use matters.